InstaBuilder – What Is It? 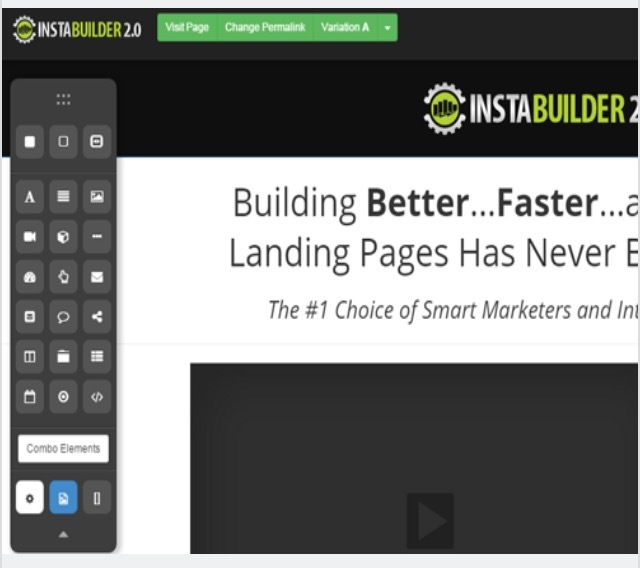 InstaBuilder is a WordPress marketing plugin where you can easily create landing pages and sales funnels to promote your business and products. Before InstaBuilder 2.0, online marketers would spend days designing their pages, spend a small fortune (on things like split testing, a countdown timer, etc. ), spend hours on social media sharing, spending days making your upsells and downsells, and even more time on your members area. InstaBuilder has all of these things in one place. I personally do not use InstaBuilder, instead I just use MailChimp to build my list and create an autoresponder because it is cheaper. In my opinion, there are a lot of scammers out there that would love this system because it makes it easier for them to catch innocent people. However, legitament salesmen CAN use this system too. Learn How To Build A Business Online For Free Like Me! Large Selection of Responsive and Mobile Friendly Templates – They have over 100 pre-built templates and when you can create your page it will look great on mobile devices. Text Formatting – You have complete control over font and topography selections, design, and placements. 2-Step Opt-in Technology – The opt-in/welcome page acts as a firewall over your page and ensures that only interested people get to see your content. A 2-step opt-in has one-click page integration. 3-Step Opt-in Technology – This opt-in takes longer and makes sure people are actually interested in your product. Welcome Gate – You can “block” any and all content with a landing page that “forces” visitors to opt-in before accessing your product information. Built-in Image Editor – The visual editor can add a great amount of effects to the conventional looks of a photograph. Built-in Marketing Graphics – There are pre-done graphics you can choose from (header images, icons, call to action buttons, etc.). Advanced Statistic and Analytic Feature – You can use this to observe your progress and gives you statistical reporting, which can help you plan better (many people use Google Analytics). Split Testing – This provides you with ground level data before your site goes live. Also known as A/B testing, this lets you compare your results with others. Exit Traffic Redirection – Before someone leaves your page you can prompt them with a popup, which is a proven methodology in the industry. Time Delayed Content – Basically it is just a time delayed “buy button” so you can hide it until you want it to appear. Scarcity Builder – The scarcity builder option can simulate an urgent feeling among viewers by declaring special deals and flashing short-term offers, which leads to an immediate jump in sales. Count-Down Timer – This is also fully customizable and can be used to show that there isn’t much time to sign up or get your product. Social Sharing – Create Facebook specific landing pages for creating a sale out of socialization. You can integrate your homepage with up to 4 social networking websites. Notification Bar – This is a popup you can have at the top of your page that can help you with announcement, news, or special offers. 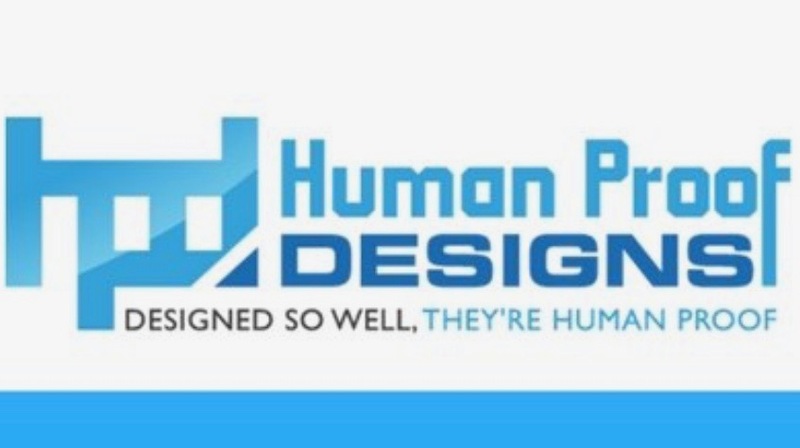 Animation/Dynamic Elements – Your homepage can have an engaging display. You can include images, text, buttons, columns, tabbed content, Facebook comment, and much more. Convert to HTML – You can basically save anything in a HTML version for anything you need to use it for. Autoresponder Integration – Use a simple HTML based autoresponder (here is the autoresponder I use). 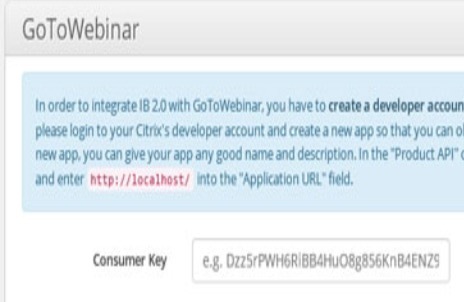 GoTo Webinar Integration – Integrate with this and provide a webinar based sales funnel. You can deliver sales presentations, long form content, and much more without a worry about the delivery system. Grouping – You can organize your projects into groups. Every InstaBuilder tool-kit comes with an myriad of pre-designed features like header images, a call to action button, icons, page separators, and many other items. InstaBuilder is NOT for people that are just beginning online. You will need help and InstaBuilder will not teach you, only to make it easier to run your business. If You Are Looking For Help To Create An Online Business Click Here! 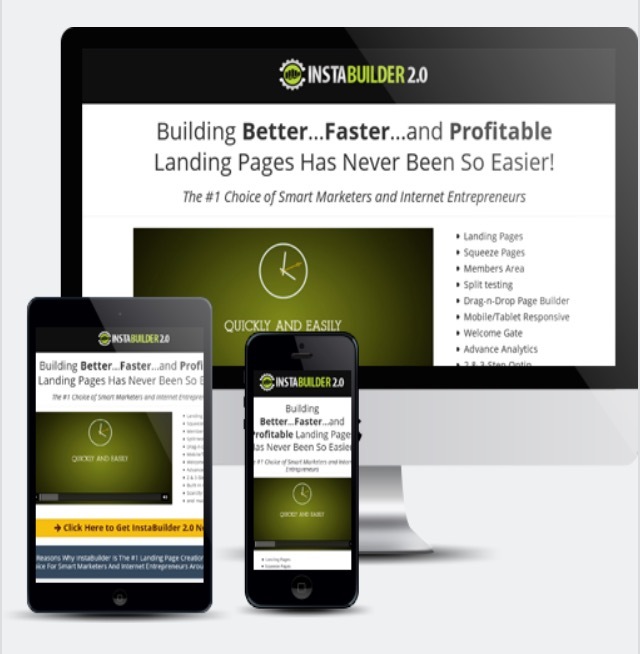 People who want to build a list: If you are trying to build a list, InstaBuilder will help you create clean landing pages. They also have a split-test feature you can use to find what works best for you. Boosting your opt-in rate can mean more value from your traffic. Online Marketers and Product Owners: Internet marketers can use InstaBuilder to make a wide variety of professional web pages to sell products (eBooks, software, eCommerce on-line, etc.). Affiliate Marketers: InstaBuilder is great for affiliate marketers because you can make bonus pages for your affiliate promotions. You can use the exit pop-up or the opt-in pages for lead capture to advertise over and over again. Offline Consultants: Off-line consultants can use InstaBuilder to help their customers create landing pages for customers or to sell their products on-line. If you’re using different plugins, each one will come with a different set of responsibilities. You’ll have to deal with opt-in generators, banner graphic generators, sales pages generators, Facebook connect plug-in, etc. However, InstaBuilder contains these features in one plugin. How Much Does InstaBuilder Cost? There are 3 options to choose from if you want to use InstaBuilder 2.0. All of them give you one year of support and updates. 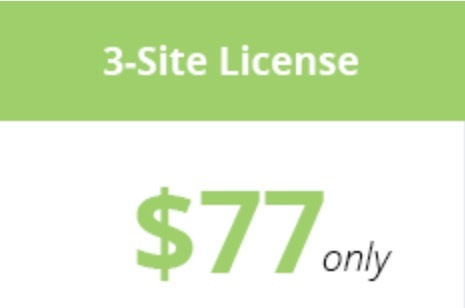 $77 – You can only install it on 3 domains that you own. 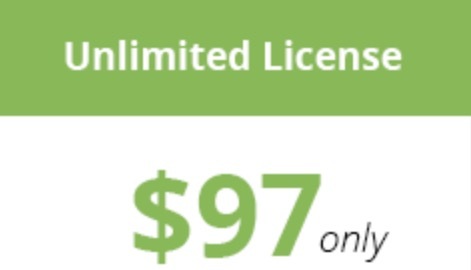 $97 – You can install it on unlimited domains that you own. If you want continued support after one year, then you have to pay $37/year. They use ClickBank for all their payments. The support at InstaBuilder is not very good. They do not respond to you as they should. You also do not get any training on how to use InstaBuilder or how to create and build your business. It is just a plug-in with great features to help you if you already know what you are doing. If you are looking for some help and want to learn how to create your business, then you need to check out my #1 recommended program that you can join for FREE. They have FAQ’s you can look through and you can submit a support ticket if you are having trouble, but they will not help to teach you how to run your business like mine does. They have a 60 day money back guarantee, so if you choose to try it out and do not like it they will give you a refund. Just make sure it is before the 60 days is up. 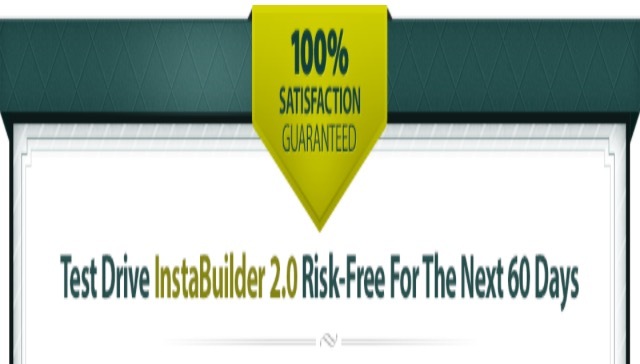 In my opinion, InstaBuilder is a great plug-in for people to use if they already know how to run their online business because it is customizable and simple to use. 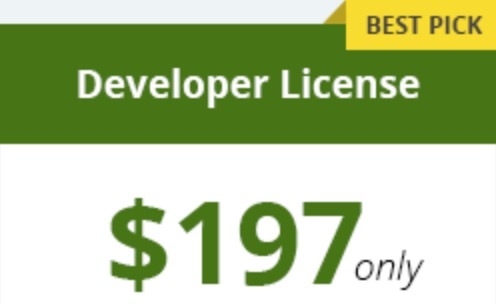 However, this plug-in is not for the inexperienced marketer. You have to know why you need an opt-in form, why you need an autoresponder, how to set up your website, etc. If you already have a business and want to make it stronger, then InstaBuilder will work wonders for you. However, if you do not know anything about what I have been describing then you need to learn the basics first and check out the program that I use. It is free to join and you will learn everything you need to know! If you have any questions or have had experience with InstBuilder, please leave a comment below! I read a lot of posts but the topic covered in this is the most comprehensive and helpful. This is a really wonderful post. I would definitely recommend it to others. Can it be used for bulk email sending? If you are just looking to send out email campaigns to subscribers that you already have, then you should try MailChimp, GetResponse, or Aweber. Those would be better, and I would just use InstaBuilder to grow your list. I hope this helps! I was looking for this kind of tool and you really give such a good and non biased review of instabuilder. Anytime! Thanks for the comment! Hi I have been using Instabuilder and it works well until you have to use their support system. This is the worst support system I have used. Sometimes they do not reply, a great product that is let down by a useless support system! Thanks for the comment Dave, I’m sorry to hear that. I will make sure to warn people about their support, because every good program should have even better support. This is disappointing. I wish you all the best! Get the plugin now, because InstaBuilder is opening its doors again! After two years of development, tweaking, and testing with their 6000+ customer base, the owners of InstaBuilder have decided to “go public.” For the first time EVER you can get access to the NEW AND IMPROVED version of the plugin that completely transformed the sales funnel creation industry. Thanks for the comment Yunus! For the first time EVER you can get access to the NEW AND IMPROVED version of the plugin that completely transformed the sales funnel creation industry. InstaBuilder is opening its doors again! I hope that you are doing good! 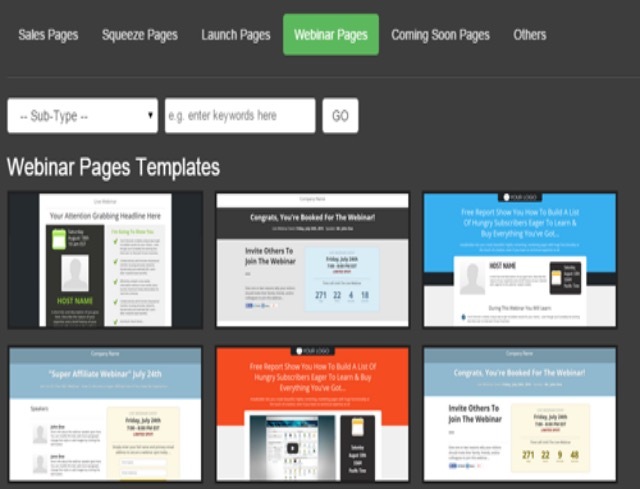 Once again, this a thoughtful article about easily creating landing pages and sales funnel to market your business using this WordPress plugin. This InstaBuilder is really a very useful tool for all internet marketers. Kindly read our new article http://lucep.com/interview-with-sales-acceleration-expert-jeb-blount/ on how to avoid an empty pipeline and help your organization get sufficient quantity of qualified leads. I agree that article has a lot of good information. Thanks for sharing!